Advanced Air Duct Solutions: 440-808-9496, www.ductwhip.com, duct cleaning and also duct lining for damaged air ducts. 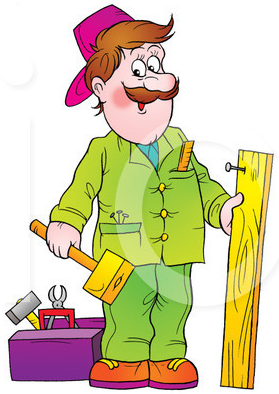 Kulik Home Improvement, can do most home remodel/repair projects: 440-283-6649, www.kulikhomeimprovement.net. Peter B. Nadhazy 22597 Westwood Drive Strongsville, Ohio 444149 , J & P EXCAVATION, Basement Waterproofing and Foundation Work . Cell Phone 216-469-5664. Western Window Service-Parts & Repair Center, Berea: 440-234-5780, www.westernwindow.com Experienced Technicians & “hard-to-find” replacement parts. Sells the parts but does not perform installations. Will perform installations [Roy Metter is a Strongsville resident that worked for Bob Schmitt from 1971-1981 and is familiar with Ledgewood sliding doors. These are used screens in good condition that fit the casement windows that Bob Schmitt installed in the homes built in the late 60?s and 70?s. They are copper/gold color. His wife Dawn answers the phone. They have done work for me in the past and I had a need to call him recently and his service/prices remain exceptional. Anyway, in the present economy it is hard for the little guy to survive and so I told him that I would promote him. I know that our garden-mate Nancy Pickard has also used Bryan and spoke highly of his work and his prices. They also provide windows, siding etc. George Minello is the owner and the guy that came out and did our estimate. He also came out during the installation to make sure his crew knew exactly what needed to be done. BTW, they can blow in insulation into existing un-insulated walls. Ask for Matt Federico - Ledgewood Resident. Specializing in: wood and gas fireplace inserts and stoves, electric fireplaces, fireplace doors, chimney caps, mantles, fire pits, patio furniture, hot tubs, & BBQ grills. Total fireplace renovation services available including stone/masonry work. Referrals available of completed projects for other Ledgewood residents. Conlin is the guy that did ours. Since so many residents in our development need concrete work, we thought it would be helpful to give you the names of vendors from some satisfied Ledgewood customers. Specializing in: Stamp and colored concrete, Drives, Walks, Patios, Basement & Garage floors, Tear outs, Asphalt repair, Water proofing, also does snowplowing. Recommended by Lauretta Nolen (Iyami Ct.) - "front door walkways replaced with a colored slate pattern look concrete; they look wonderful". Don Behrendt - Don's Plumbing, Inc. Complete Home Remodeling. Bathrooms, Kitchens, Crown Moulding, Drywall, Painting. Highest quality workmanship. Pays attention to detail. A true artisan and craftsman professional. Brings lots of ideas and recommendations to the project. Extremely reasonable prices. Dependable, on time and does what he says he is going to do. Recommended by Tricia Schaum (Falling Leaves Rd.) and Jane Graham (Glencreek Lane). I had been given a recommendation for T&K Tree Service and another company to remove two large trees from the front of our Ridge Creek house. The crew arrived early and began exactly on time. The men were very efficient and thorough. The trees were down, cut up and shredded in short order. They also raked the yard to remove the small debris and cleaned the sidewalks. T&K's owner, Tom Kapantas, was also flexible. He was able to do several additional small projects the same day. T&K's bid was significantly lower than the other company. Overall they did an excellent job. Tom told me they have done work for other people in Ledgewood too.